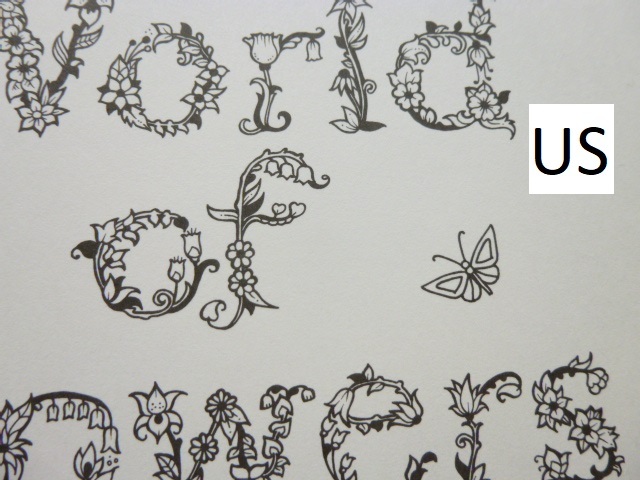 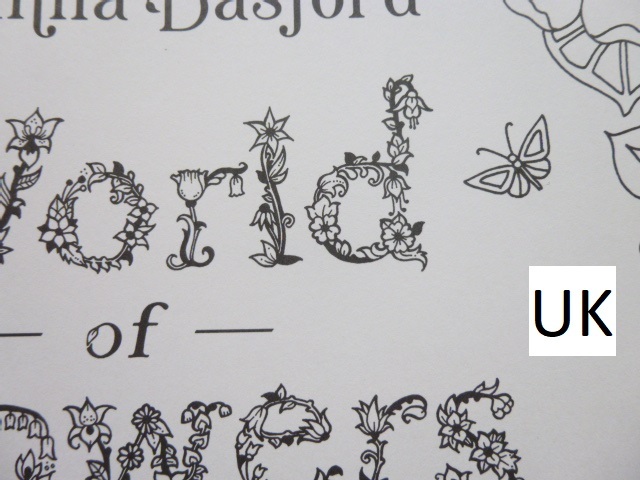 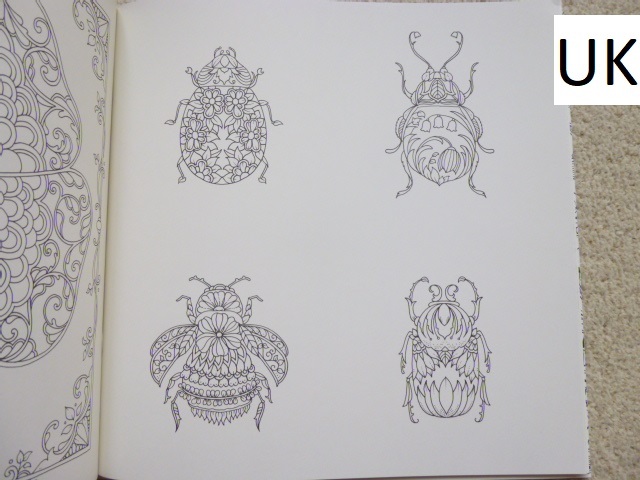 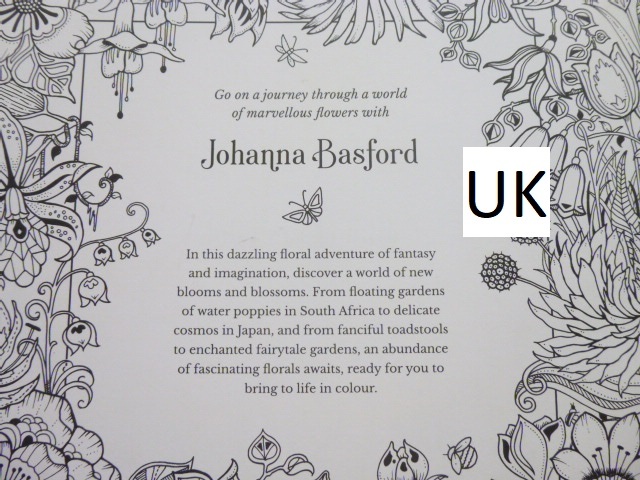 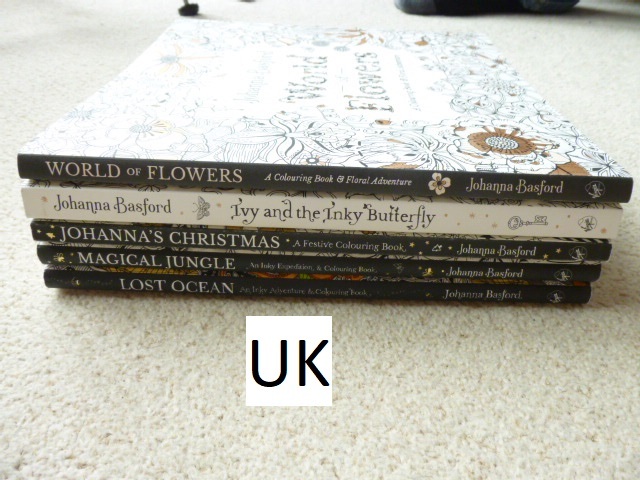 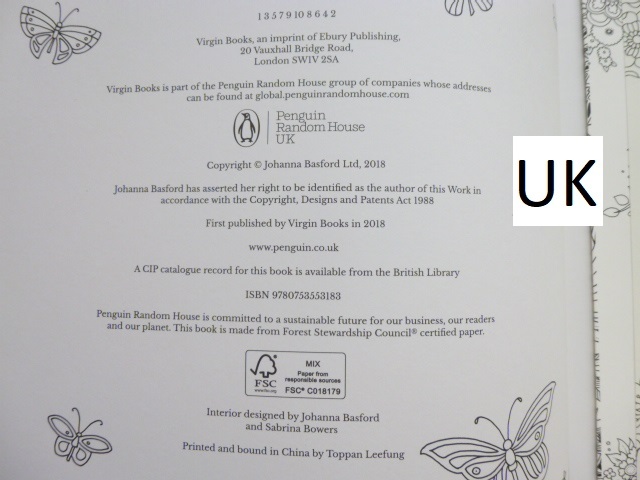 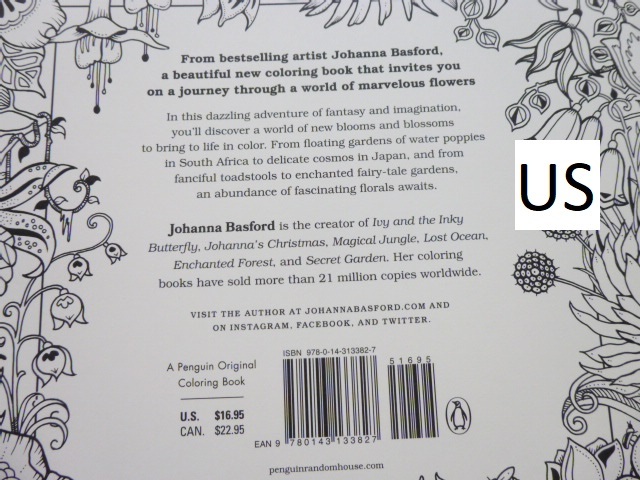 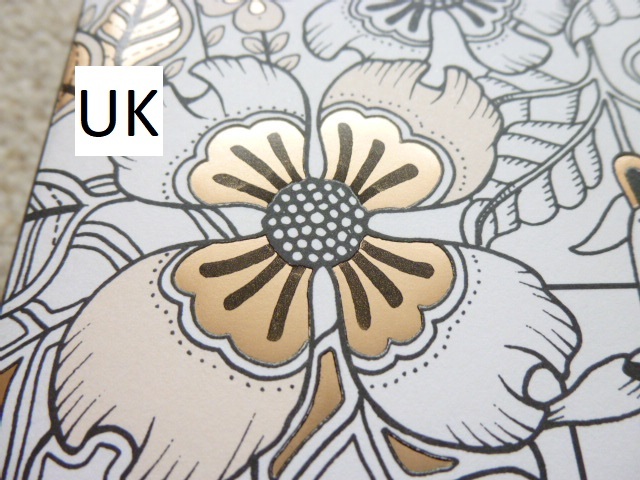 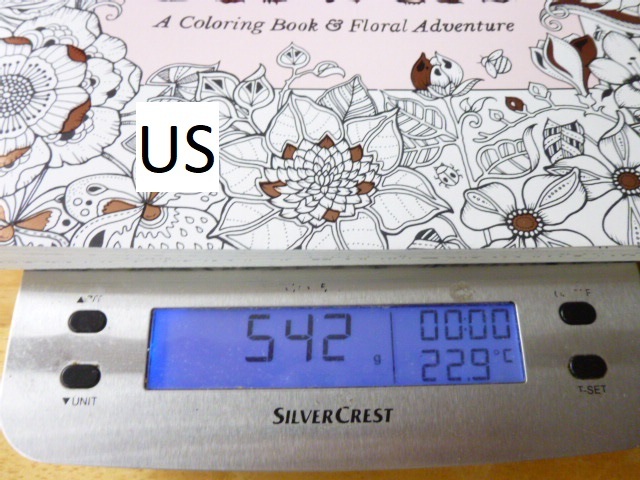 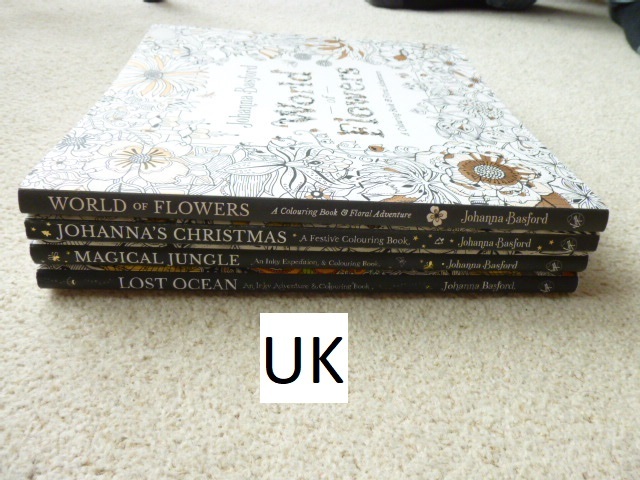 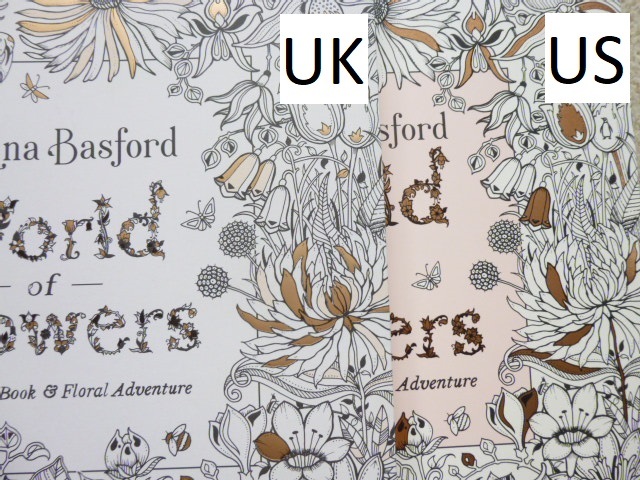 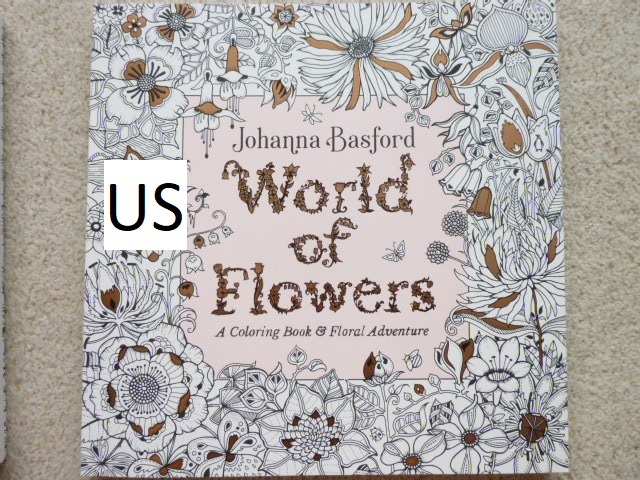 Johanna Basford 2018-19 16-Month Weekly Colouring Planner is published and was very kindly sent to me to review by Andrews McMeel Publishing. 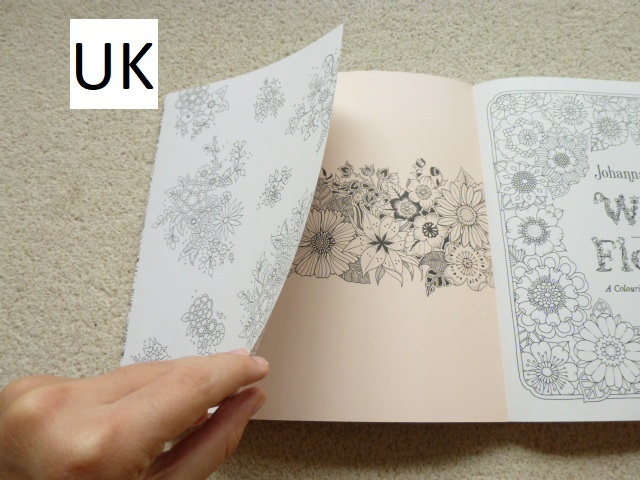 This planner is the perfect combination of organisation and colouring with space to write plans, appointments and notes, whilst also having weeks and weeks of colouring for you to do too. 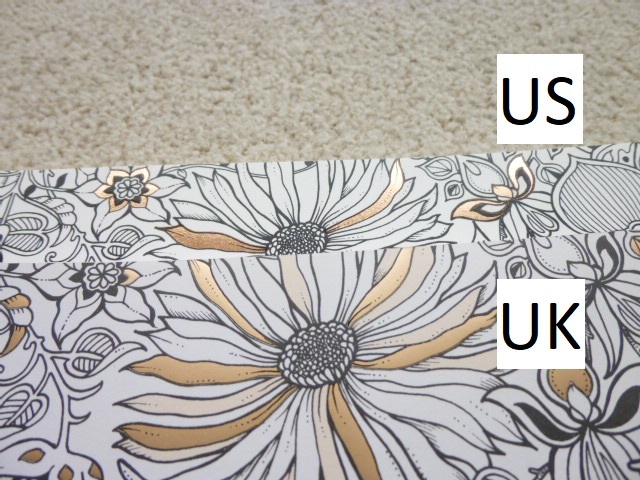 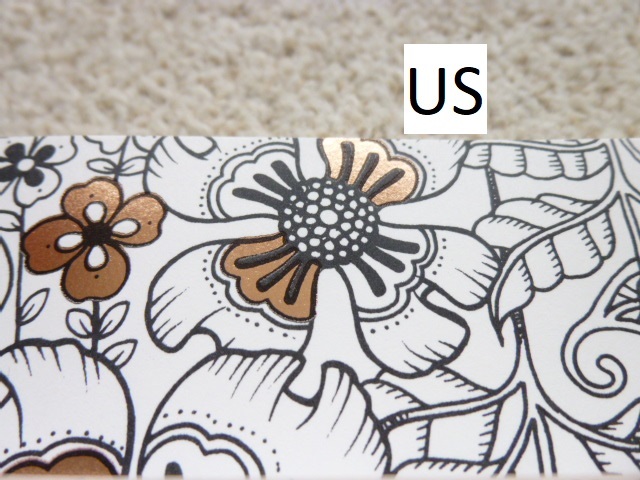 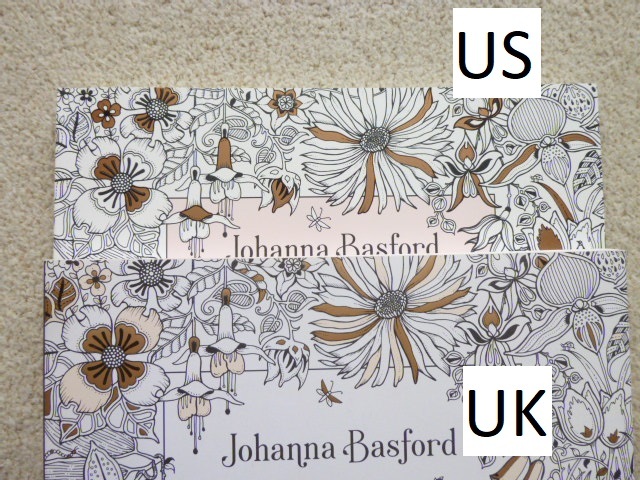 This planner is paperback with flexible pale cream card covers which have a beautiful black-heavy floral and foliage design on the front and back with a white floral design drawn on black on the insides of the covers, the front cover has gold foiling accents and the front and back cover have removable brown card strips with the information about the planner and the barcode etc printed on them. 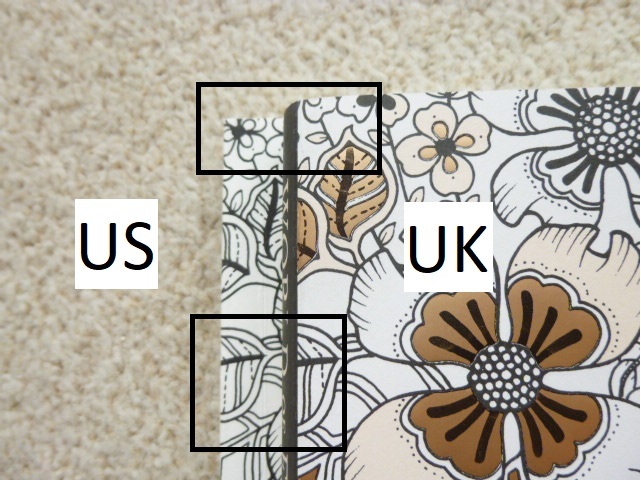 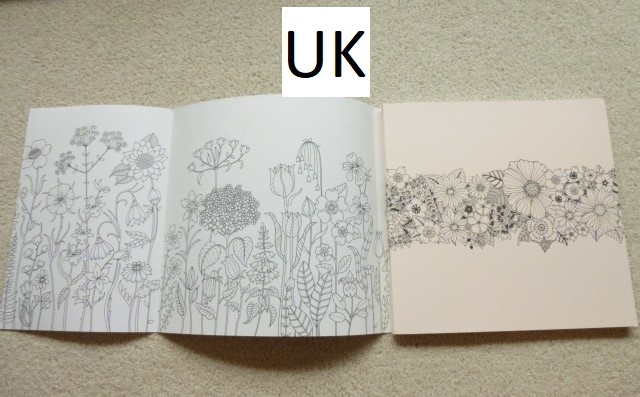 The planner is spiral-bound and measures 21.6 x 19.6cm, the covers aren’t especially sturdy so I’d be careful about travelling with it much and you’ll want to keep it safe somewhere rather than stuffing it in a bag or it’ll get damaged very quickly. 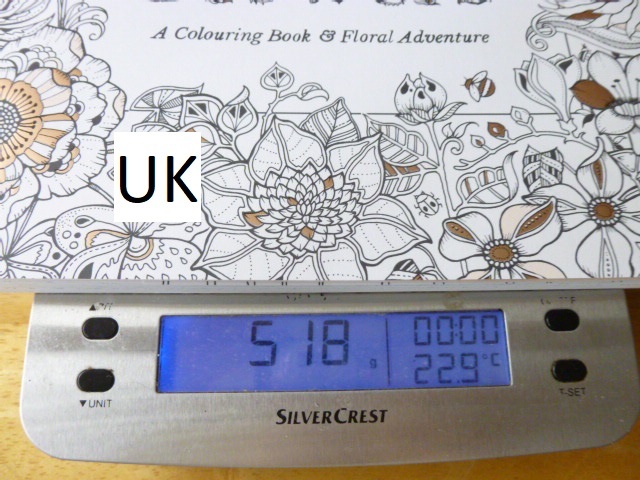 This isn’t the best planner I’ve seen in terms of features and organisation, but for the combination of colouring and organising, it’s perfect and strikes a really good balance. 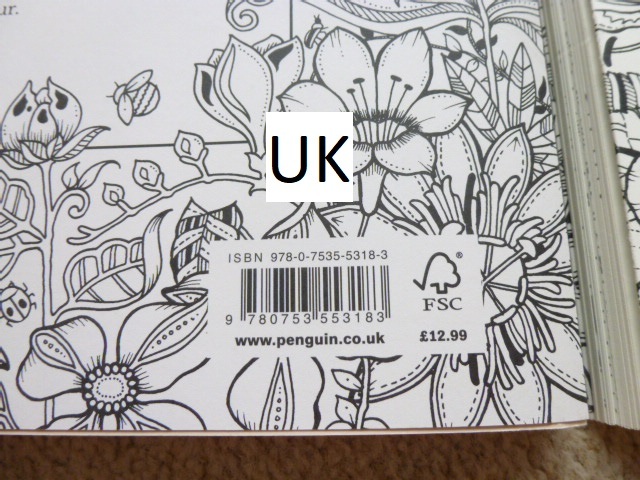 The planner runs for 16 months and starts from the 27th of August 2018 all the way to the 5th of January 2019. 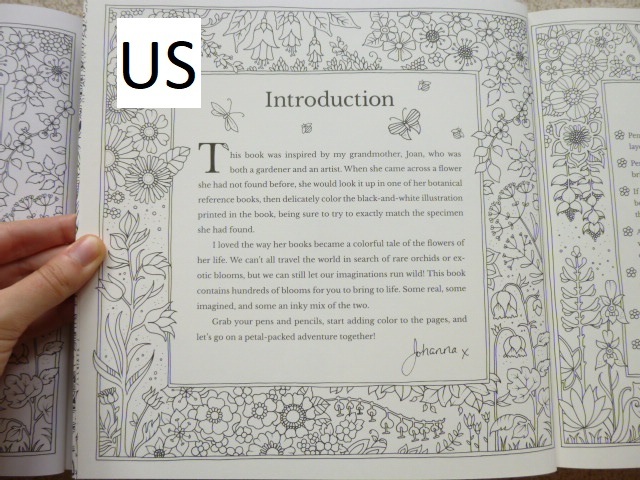 The planner is printed double-sided and starts with a one-page overview of the year 2019 and then the planner itself starts with an image on the left of each double-page spread from one of Johanna’s six colouring books, images from all six (Secret Garden, Enchanted Forest, Lost Ocean, Magical Jungle, Johanna’s Christmas, and Ivy and the Inky Butterfly) are included, and the week’s days and dates with writing space for each on the right (this is in the same style as normal planners with added leafy accents and leafy lettering for the month title at the top). 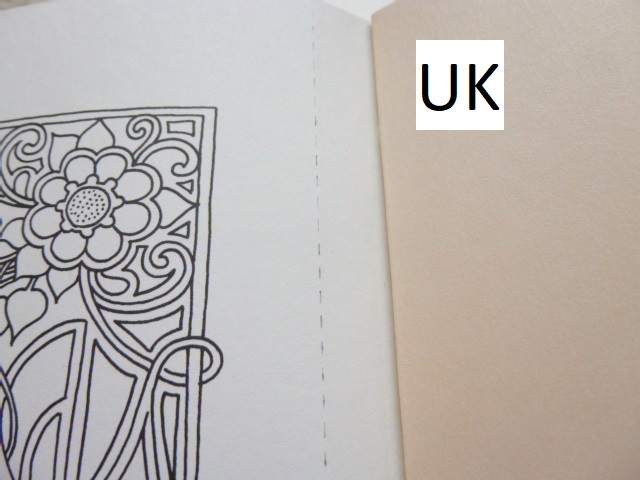 Each week runs from Monday to Sunday with equal space to write for each day, the dates are on the right and important festivals and bank holidays etc are written in small text on the left of the page, as well as the country it’s celebrated in. 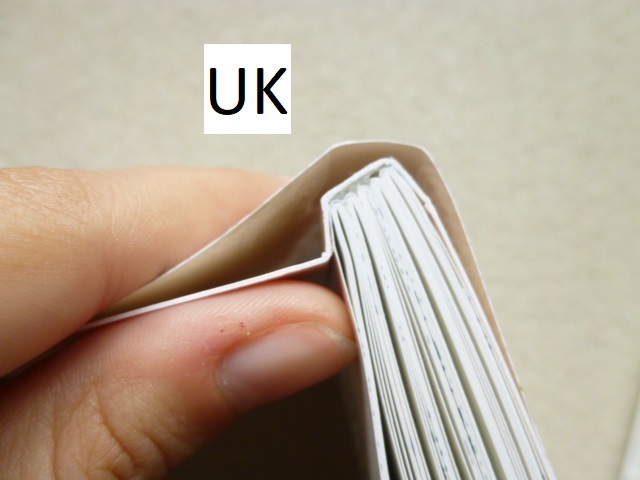 After the planner pages, which make up the vast majority of the book, there is a double-page spread with sections for each month of 2020 for you to add your advance plans to. 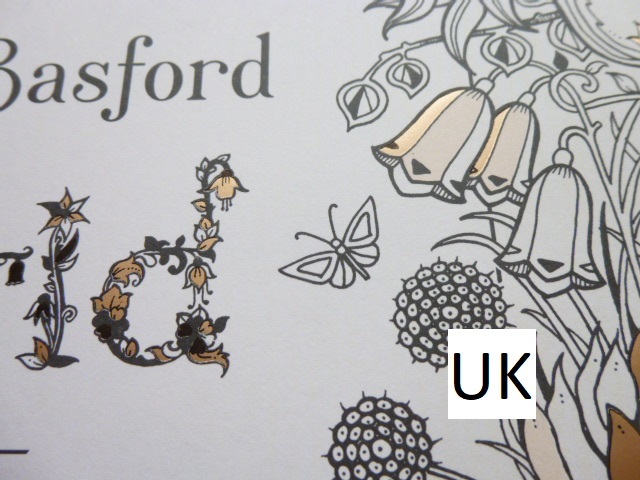 Following this is a full page of 2018 dates and a full page of 2020 dates, followed by 5 lined pages where you can write notes (all with added leaf accents) and the final page is a colouring test page where you can test out your mediums to check for bleed through. 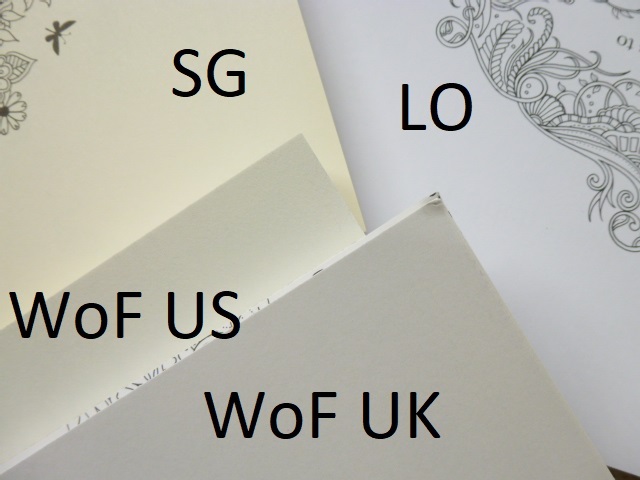 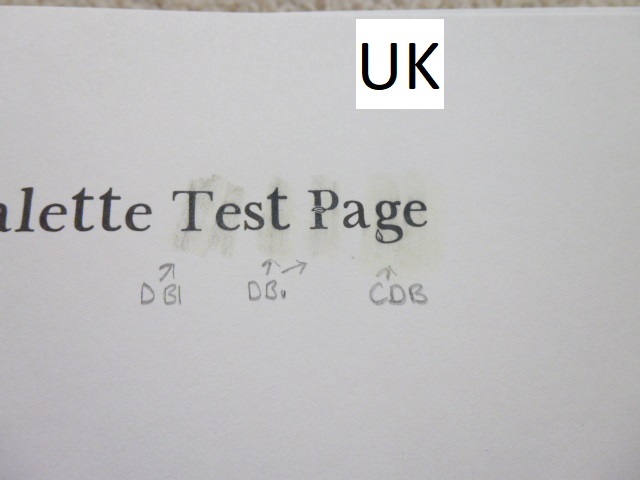 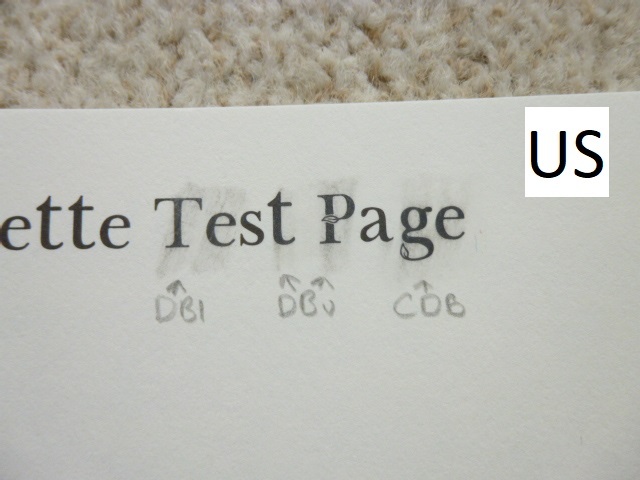 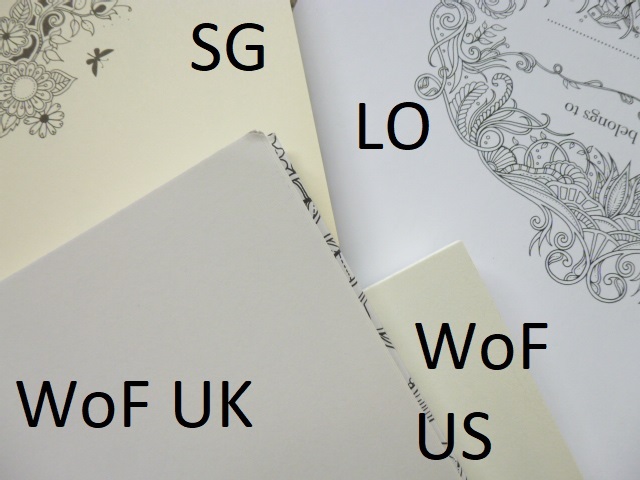 The paper this time is pale cream rather than bright white (it is the same paper as last time and it’s less yellow than the Secret Garden book paper and more cream than the new ivory paper in Ivy and the Inky Butterfly; see photo below of the different paper colours), lightly textured and medium thickness, sadly it does shadow a fair bit with water-based pens but it doesn’t bleed through; I’d strongly advise writing in pencil throughout or you’ll ruin the image on the reverse either with shadowing or indentation from ballpoint pens. 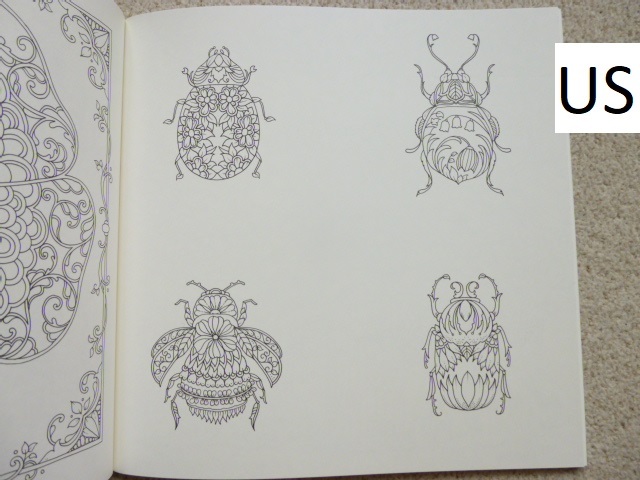 Pencils work well on this paper so I’d suggest mostly colouring with pencils and using water-based pens if you don’t mind the shadowing showing through on the planner pages. 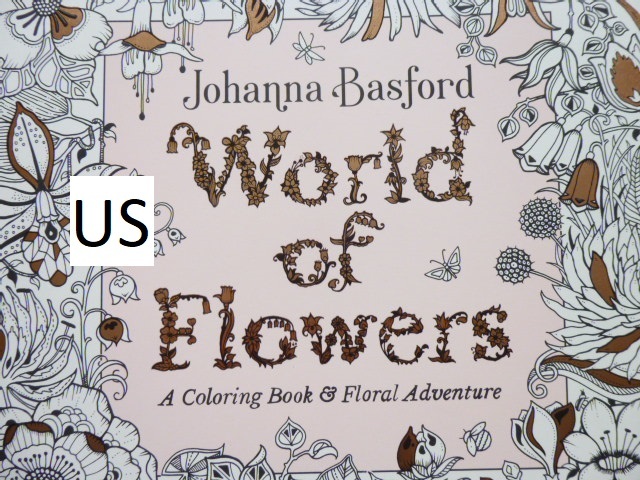 A great selection of images from Johanna’s books are included with some being sections of original images at the original size and others being the whole page shrunk down to fit on the planner page so some of the illustrations are quite tricky to colour neatly but almost none look impossible as long as you use a good set of fineliners or sharp pencils. 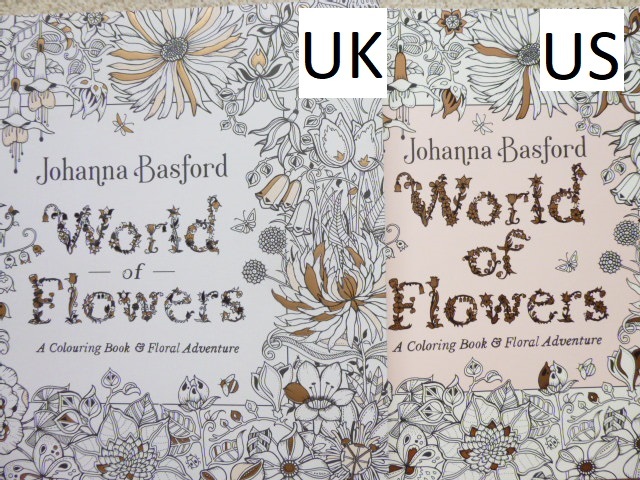 Because this is the third planner and the publisher has tried not to duplicate images it means that a number of my favourite images from her first few colouring books haven’t been included as they were in the first two planners, however, we’ve got new images from those as well as from the newest book, Ivy and the Inky Butterfly, and there are some lovely inclusions so there’s no disappointment to be had with this planner and it really is a great mix between organisation and colouring (two of my favourite things)! 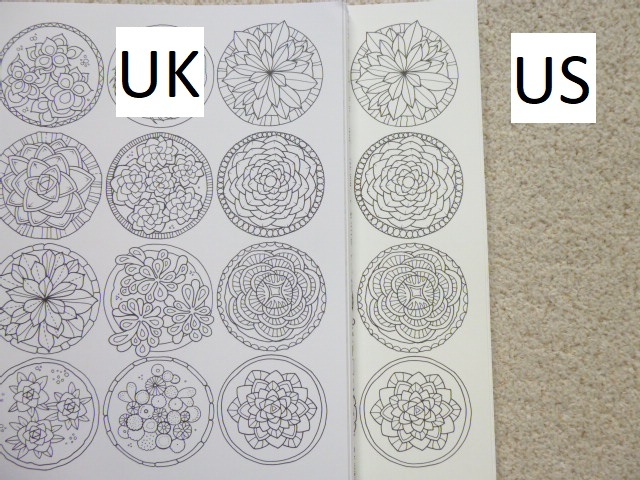 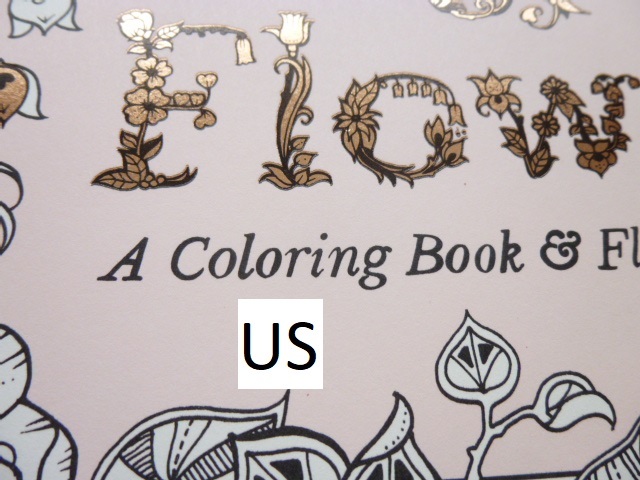 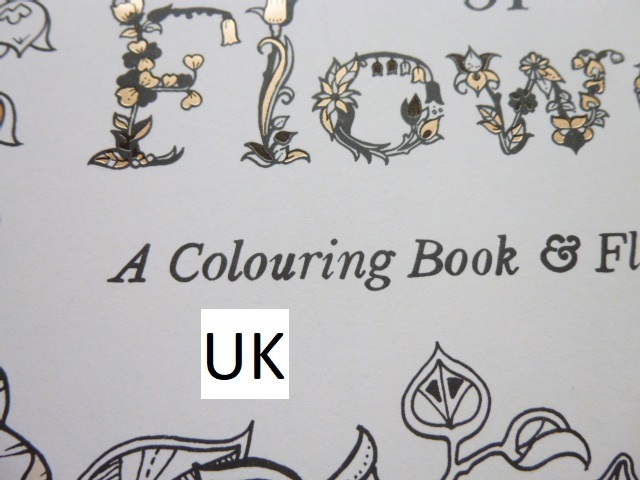 In terms of mental health, this colouring planner is ideal. 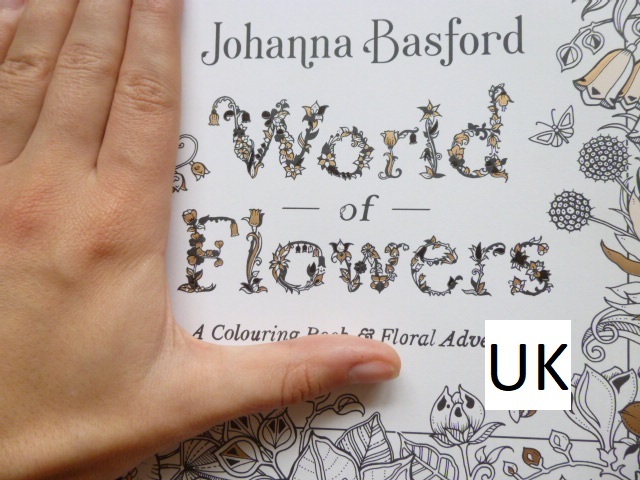 It gives you a manageable goal of colouring one page per week which could either be next week’s page so that it’s coloured ready for that week or this week’s page so you can colour as you plan. 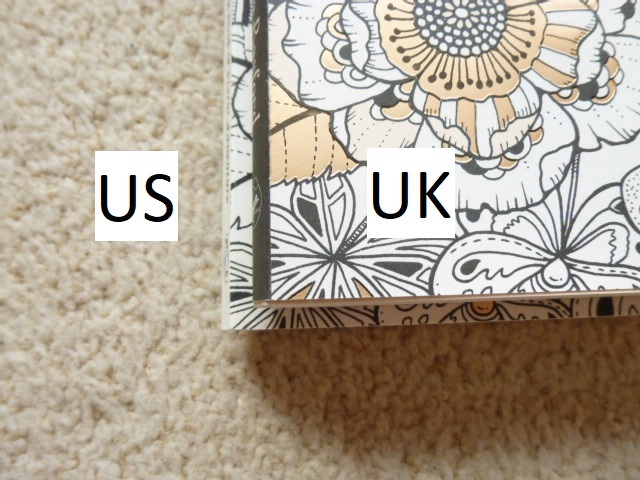 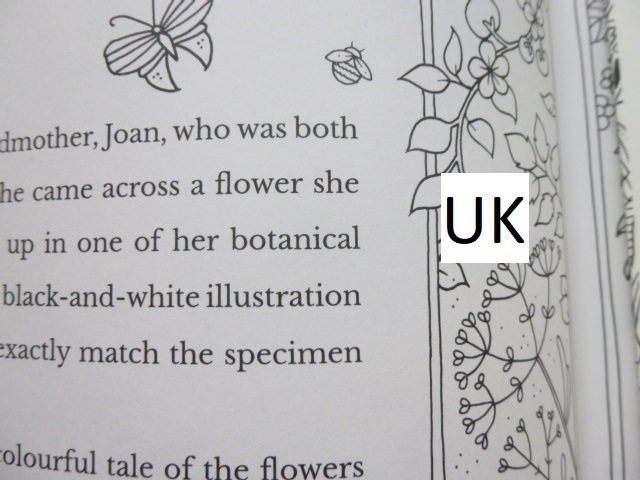 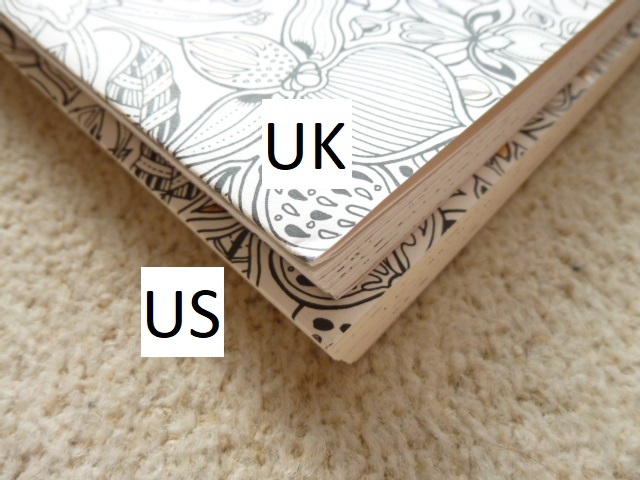 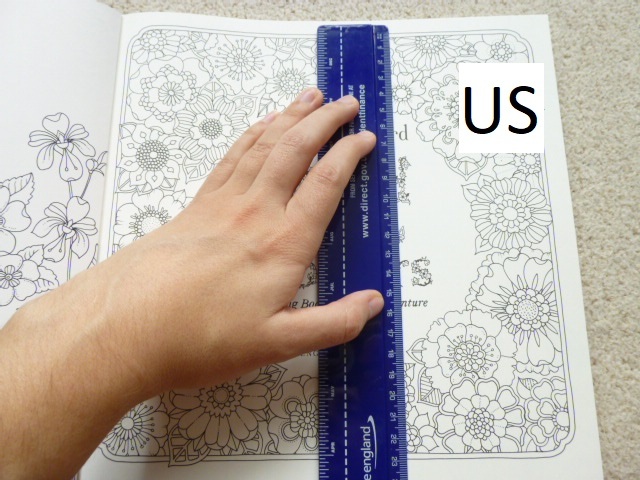 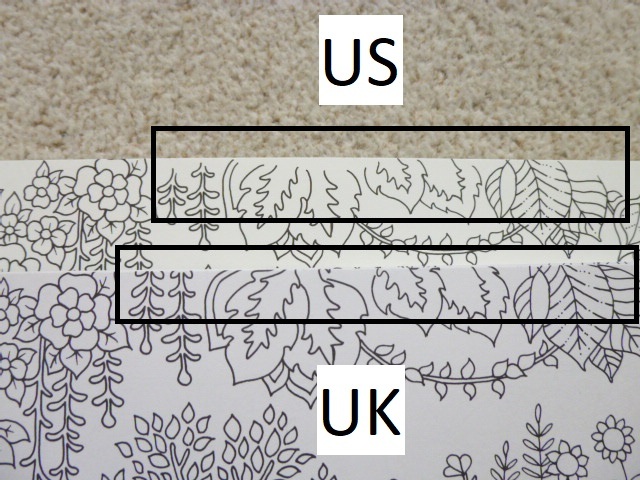 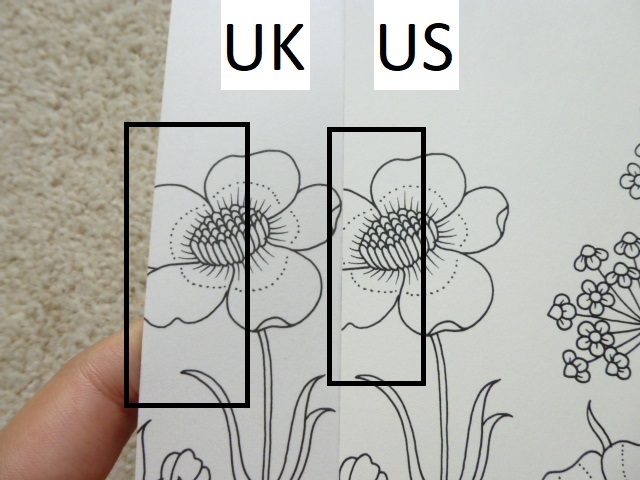 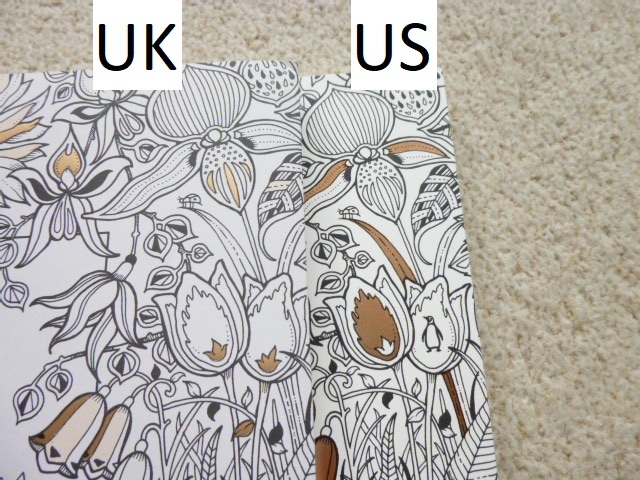 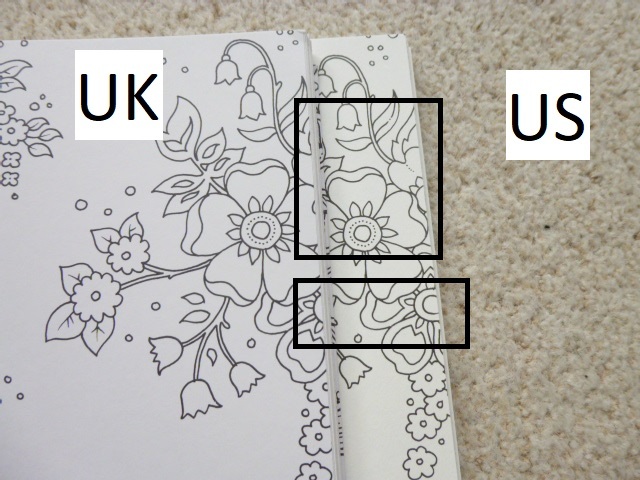 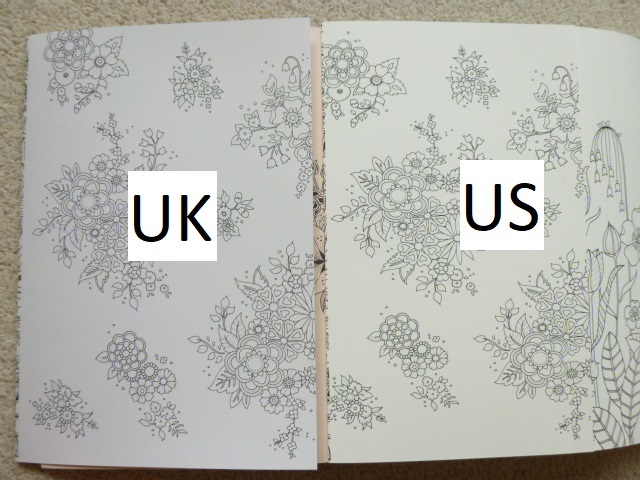 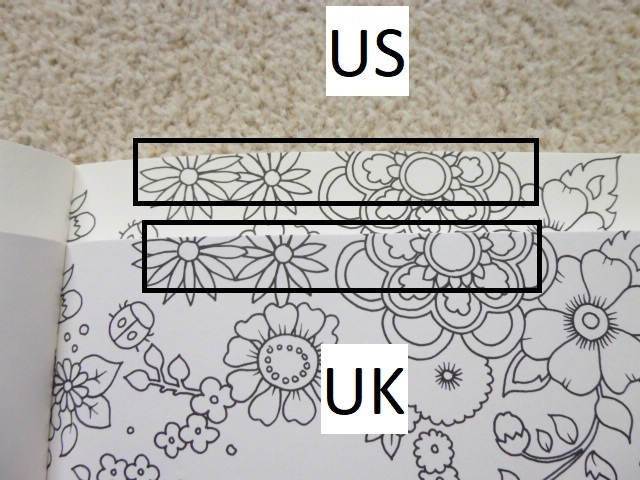 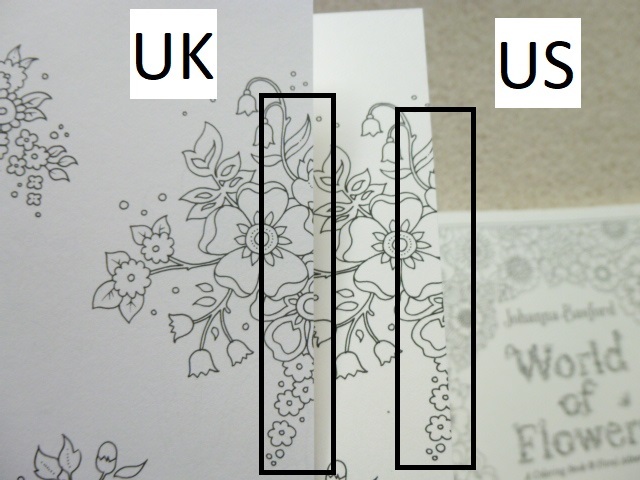 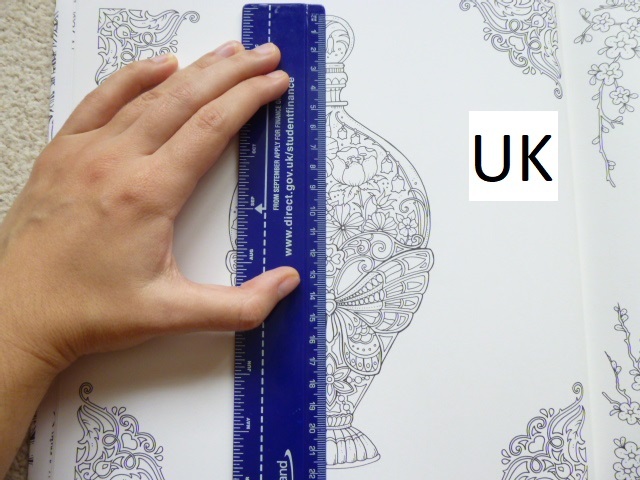 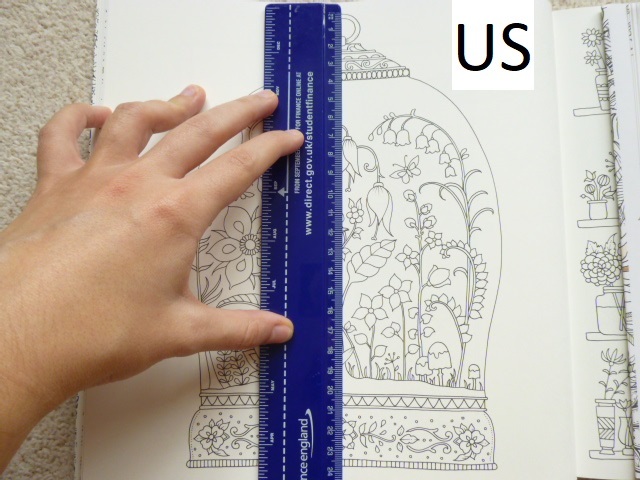 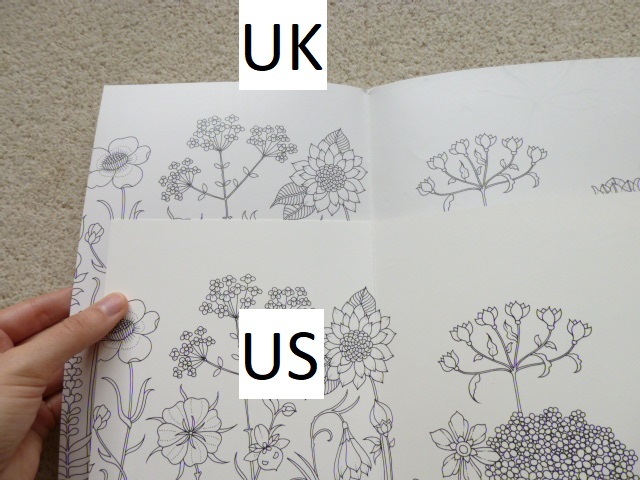 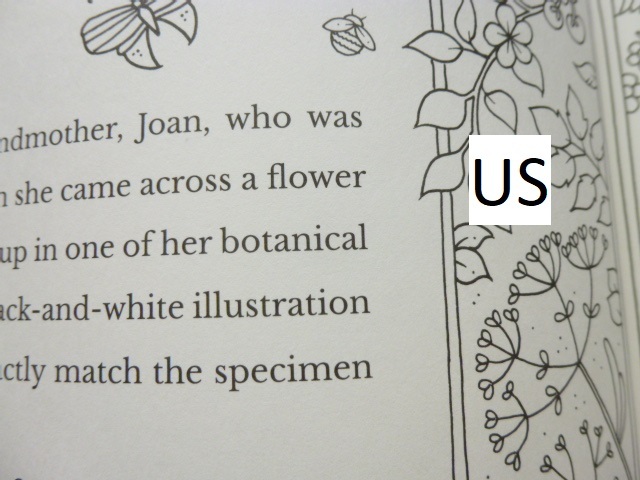 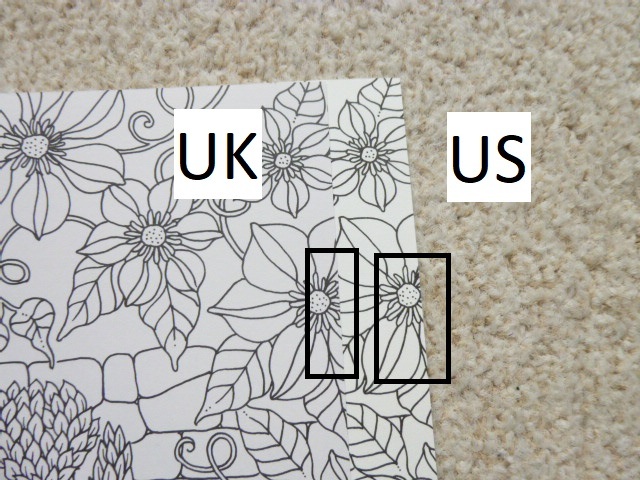 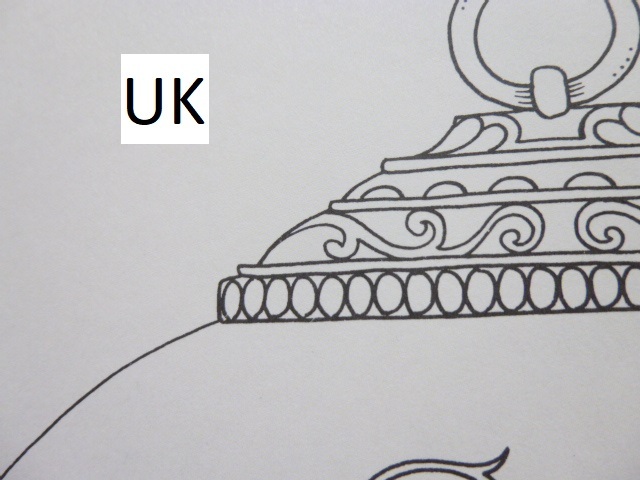 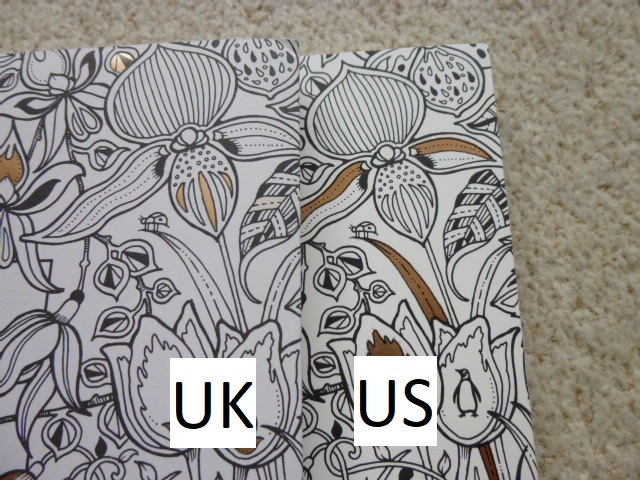 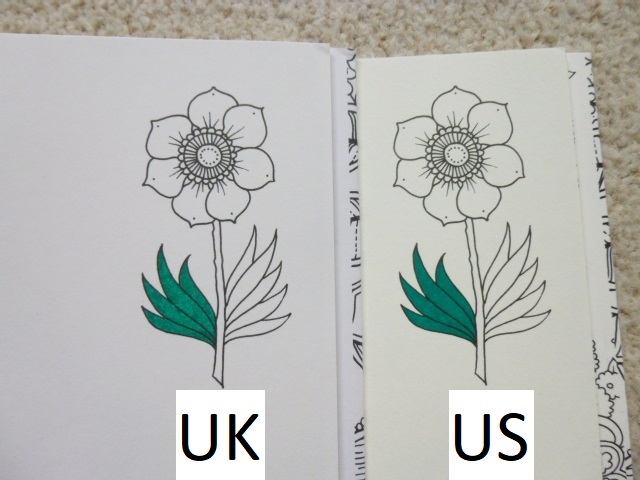 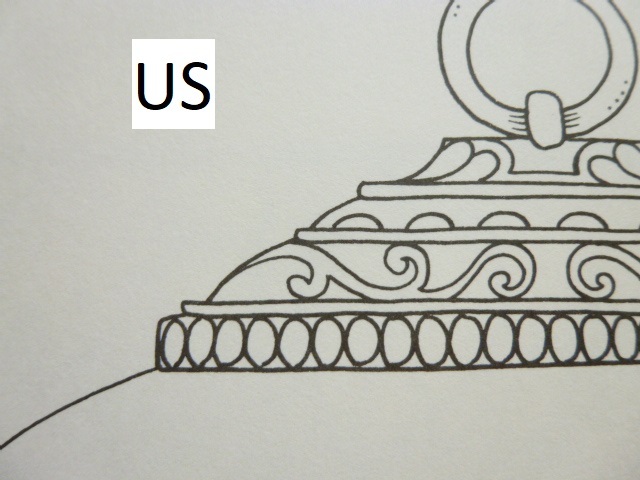 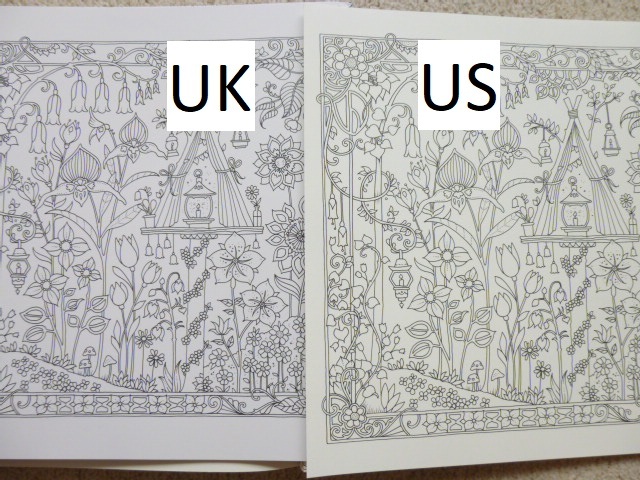 You could even colour it ahead if you’re quick but you’ll need to get a wriggle on! 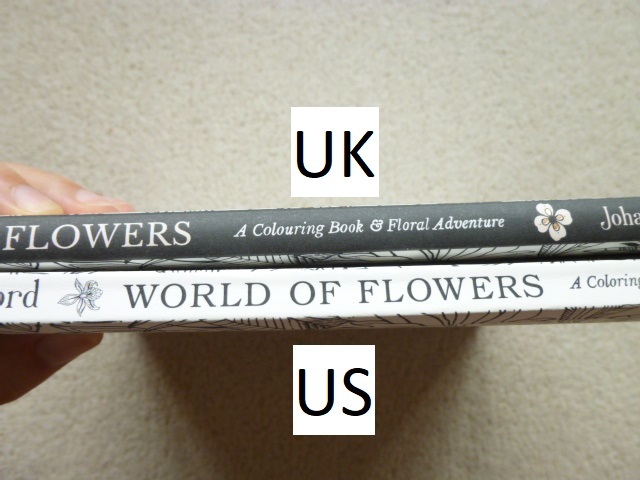 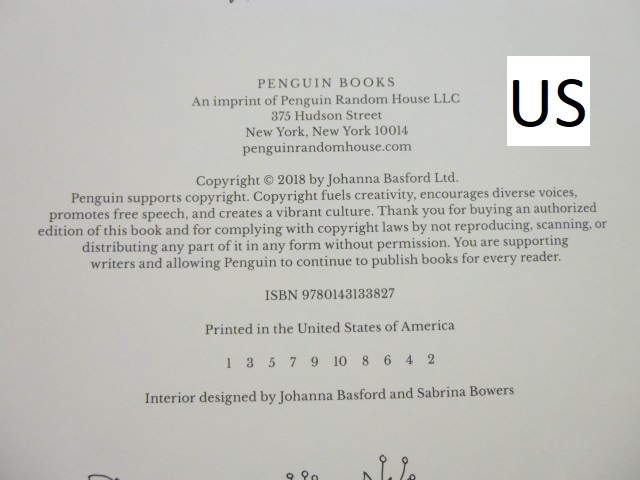 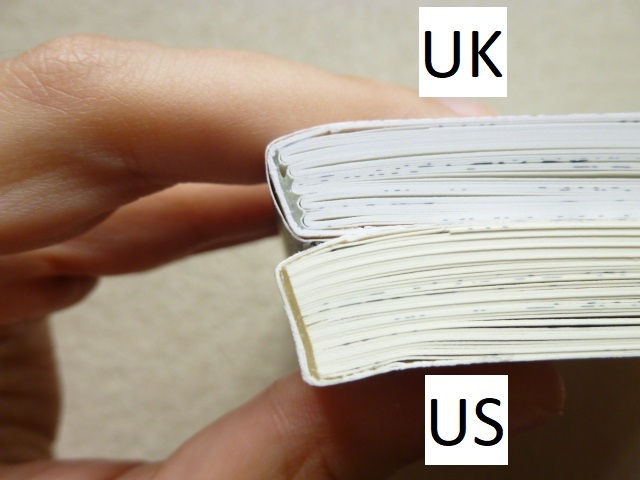 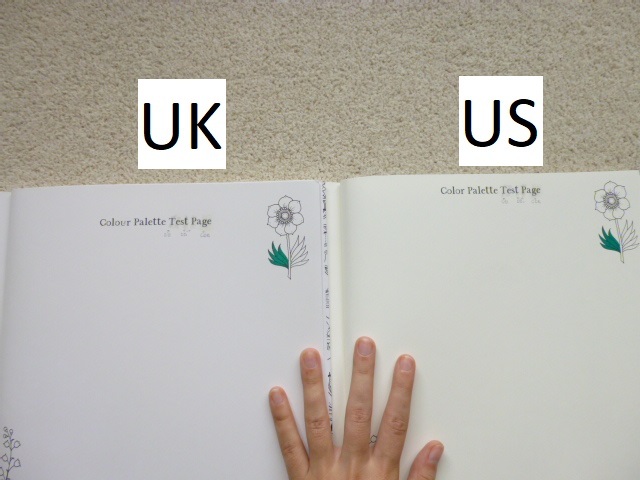 The pages are a great size to practice colour schemes for your copy of the actual books, or even to try out colouring mediums on a smaller page. 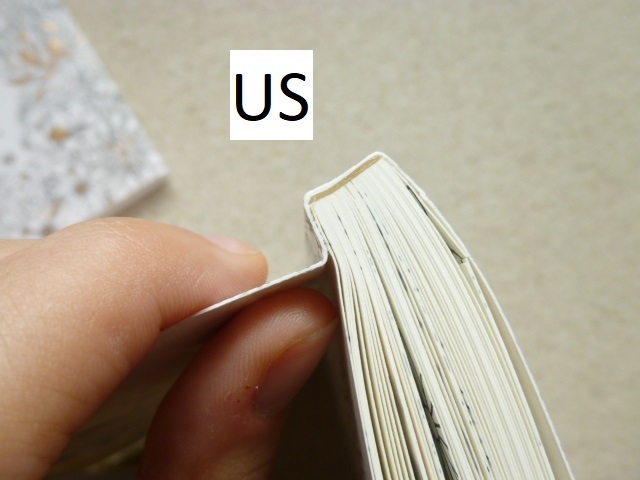 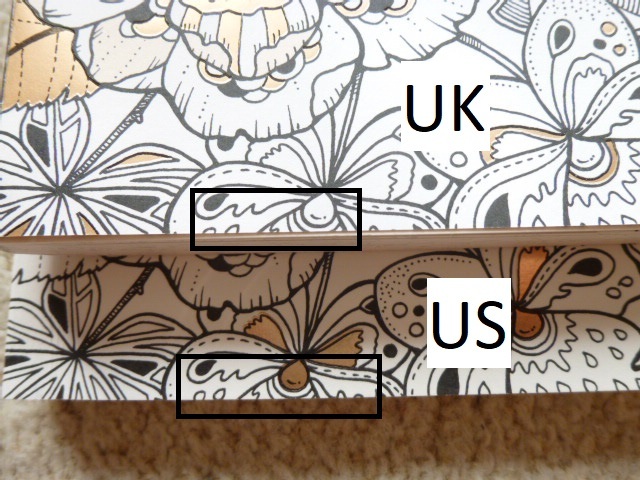 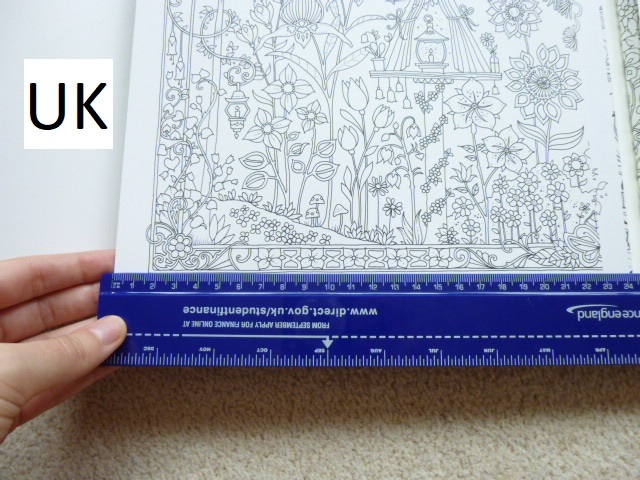 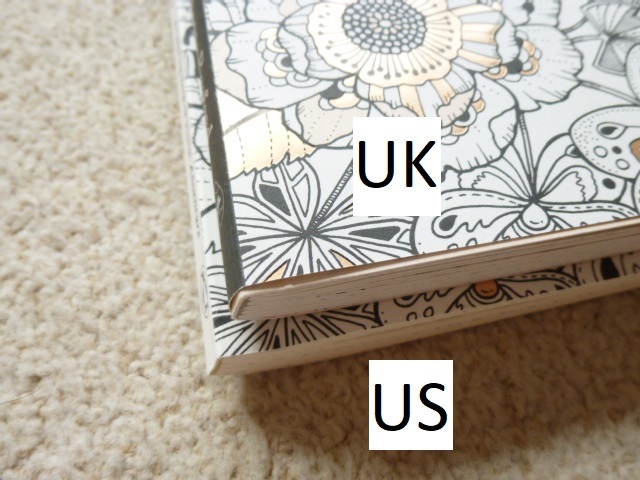 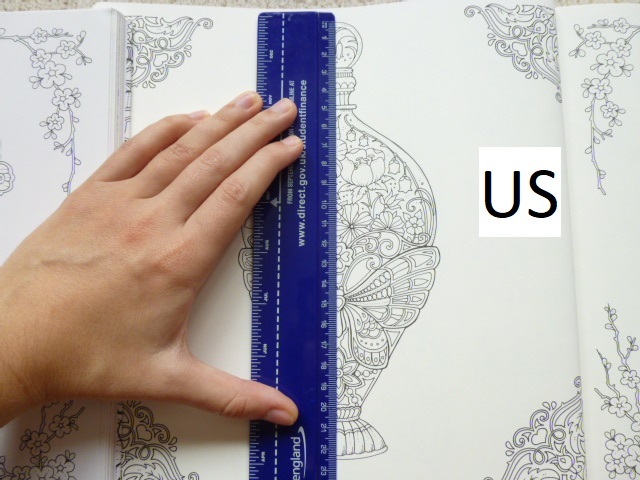 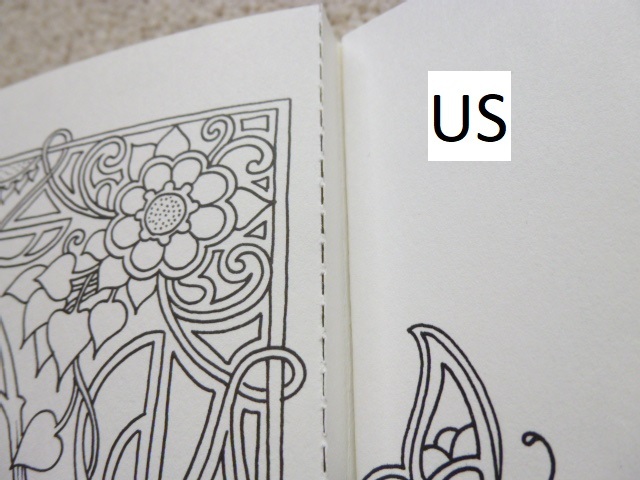 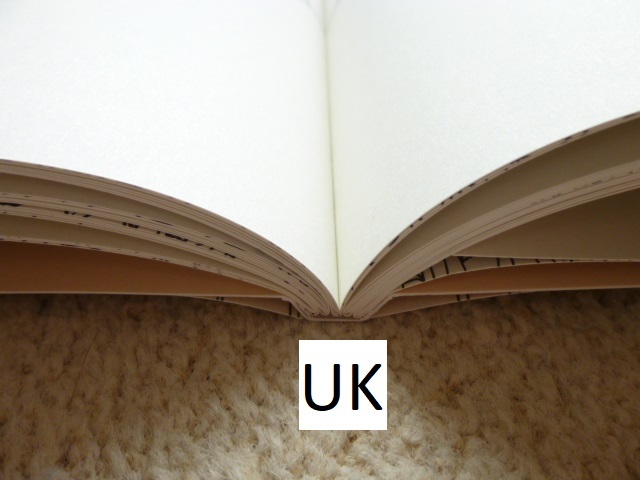 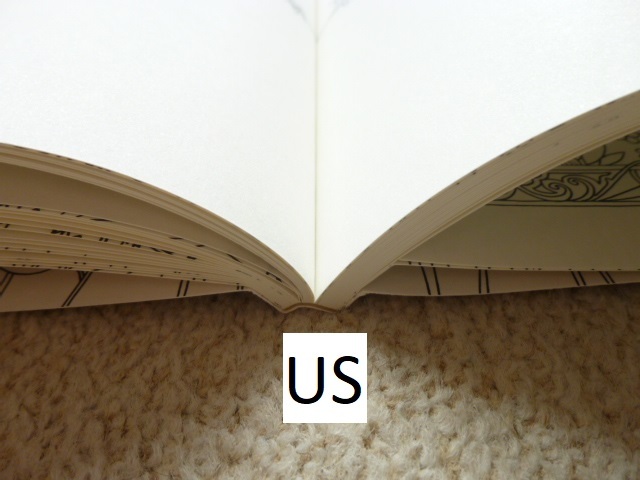 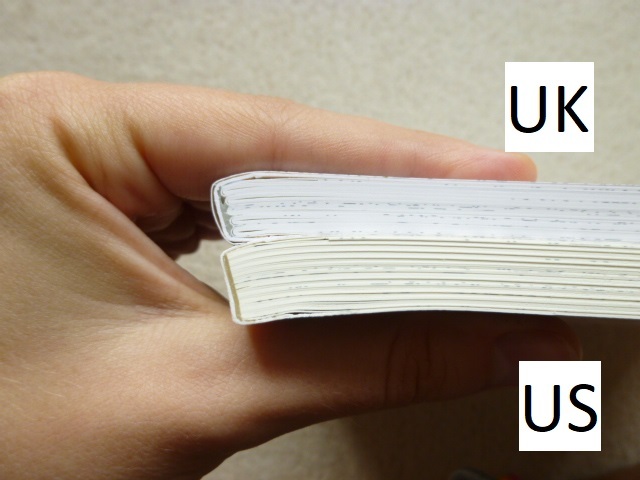 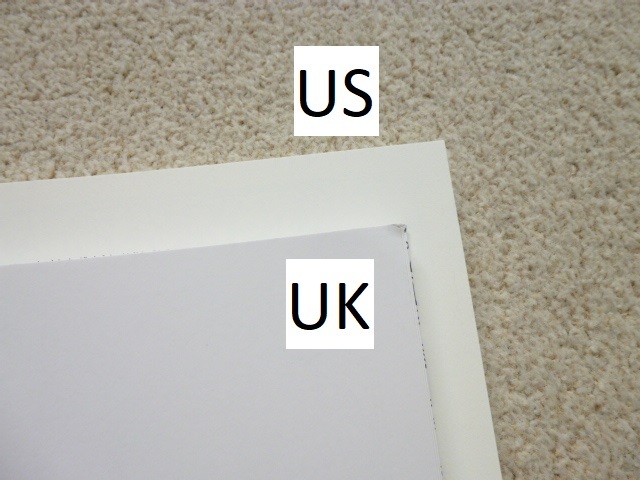 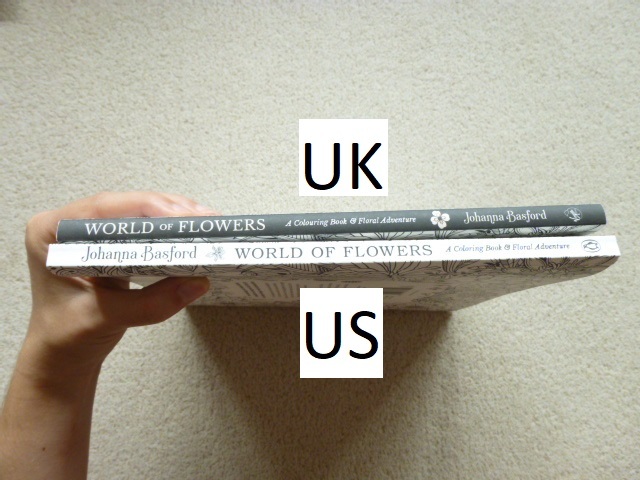 The spiral-binding makes it easy to access the whole page and none of the images go into the spine, it’s also ideal because once you’ve finished using the planner at the end of 2019, the pages are easy to remove for framing or gifting if you want to get more use out of your works of art. 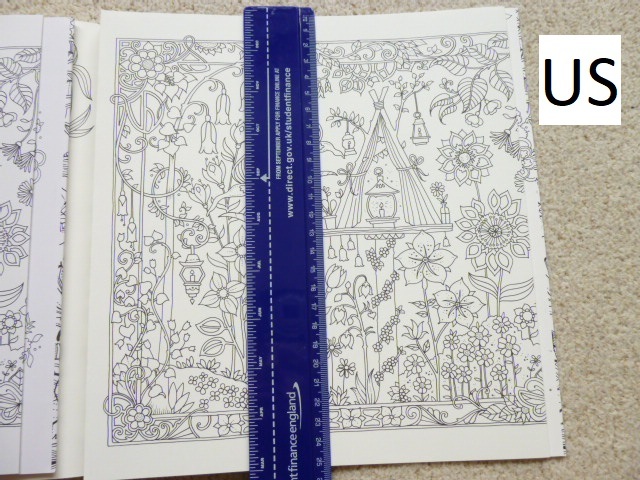 There isn’t a treasure hunt element in this planner and there are no written hints for drawing though there are plenty of spaces on a number of images to be able to add your own details or backgrounds to really make the pages your own but this of course isn’t necessary and it’ll look finished without the need to draw at all. 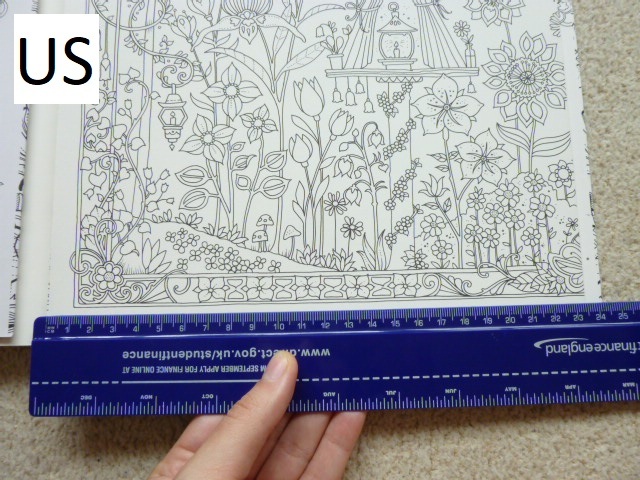 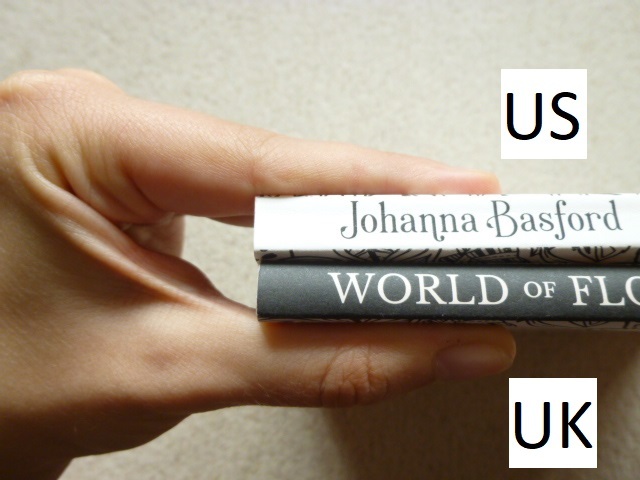 This planner is perfect for fans of Johanna’s work and it is a beautiful way of using her illustrations. 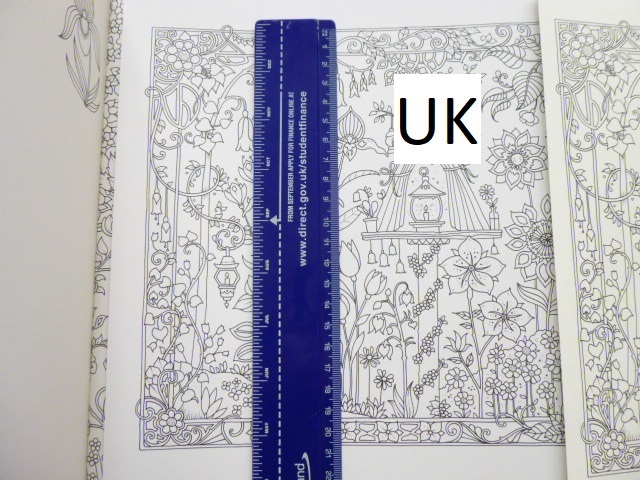 The line thickness varies a little throughout from thin to spindly thin and the intricacy and detail levels are higher than in the books because many of the images are shrunk down to fit the pages so you will most definitely need very good vision and fine motor control to get the most out of this planner if you’re wanting to colour it; you could of course leave it blank and just admire the illustrations because they really are beautiful to just look at with no need to add colour if that’s too challenging. 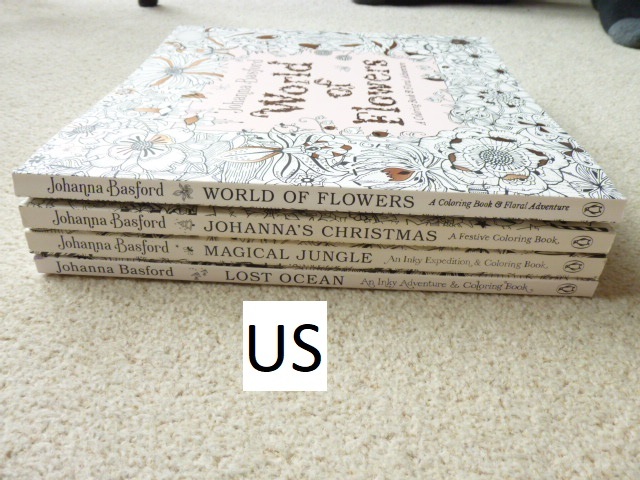 The images aren’t arranged into any order but a few have been cleverly chosen to fit celebrations like a heart for the week of Valentine’s Day and images from Johanna’s Christmas through December. 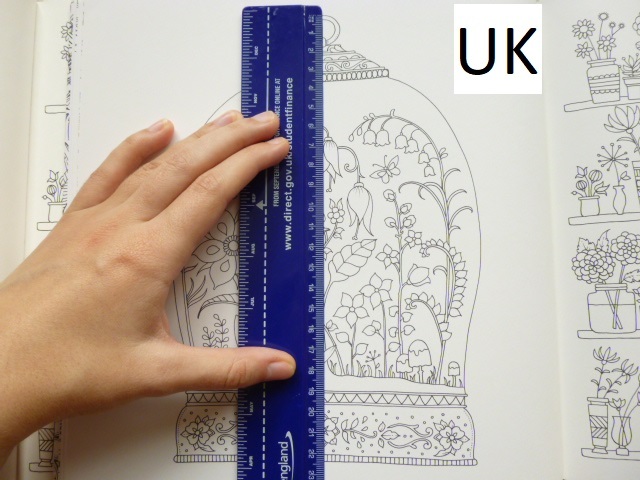 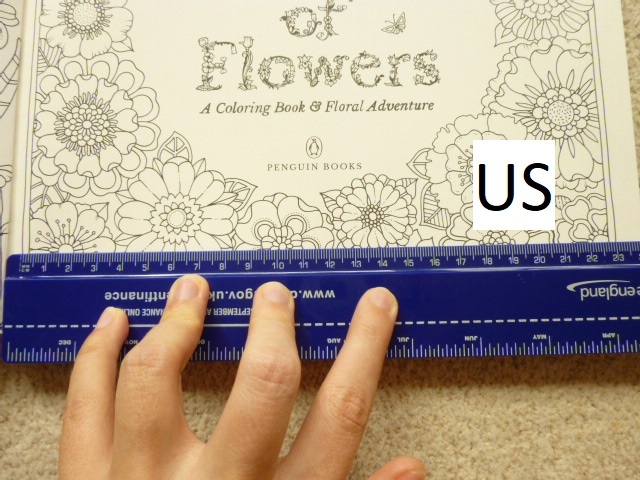 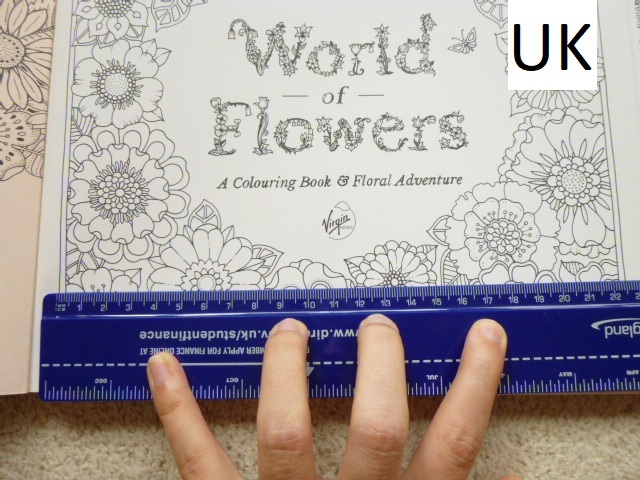 The page size is much more manageable and less daunting to colour and this is ideal for those of you with fluctuating conditions or concentration levels because these pages are quicker to finish and likely to cause less frustration. 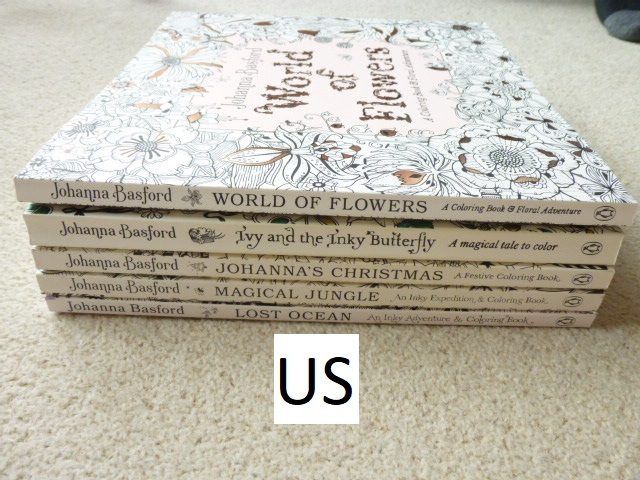 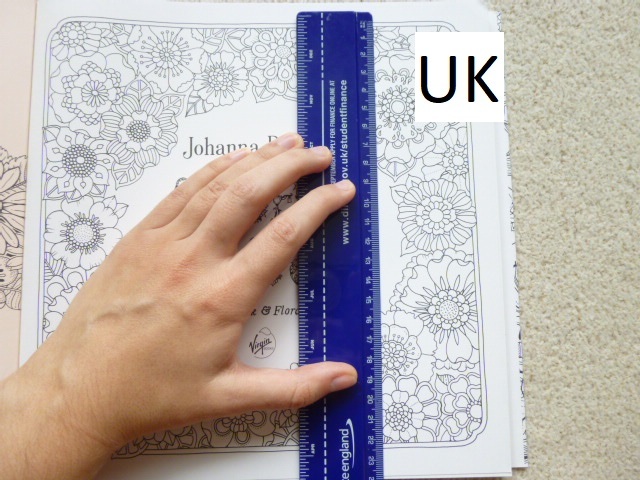 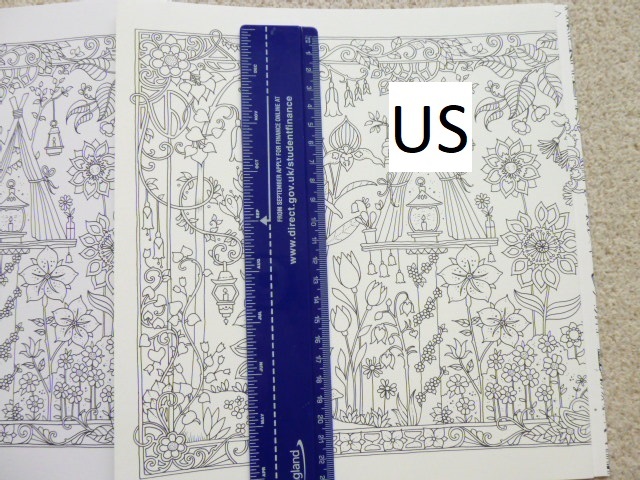 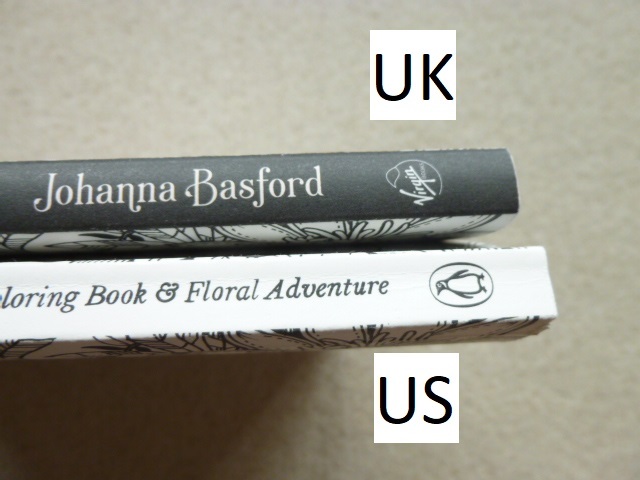 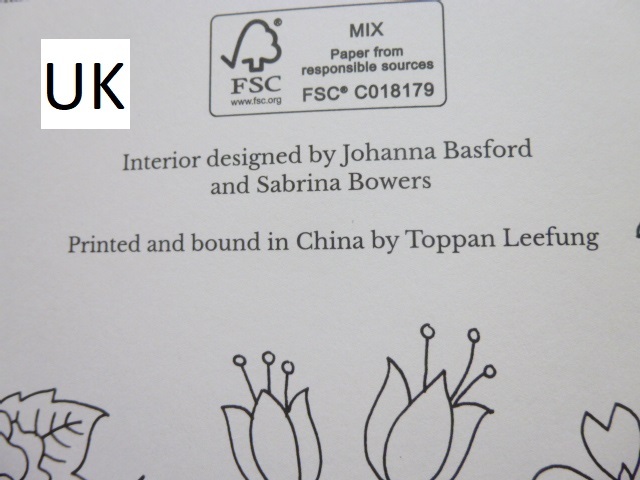 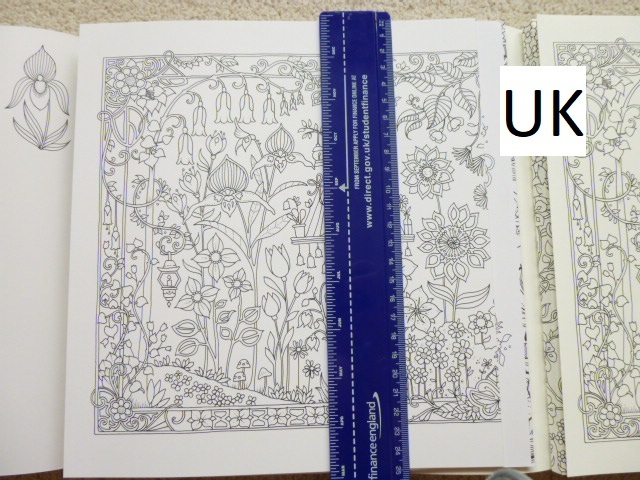 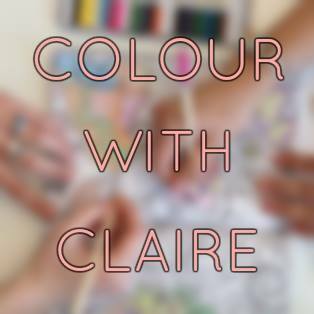 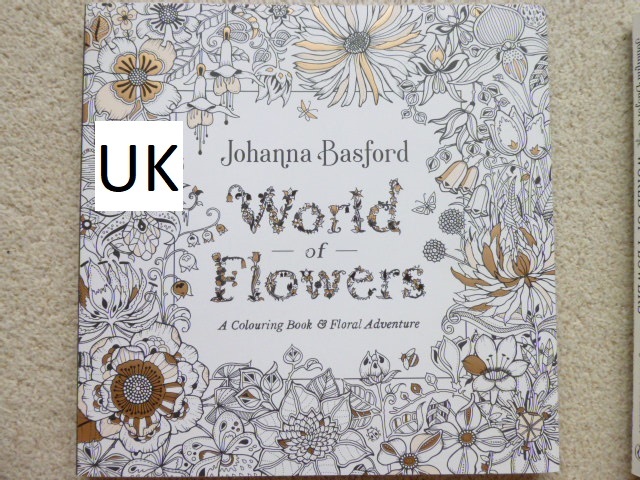 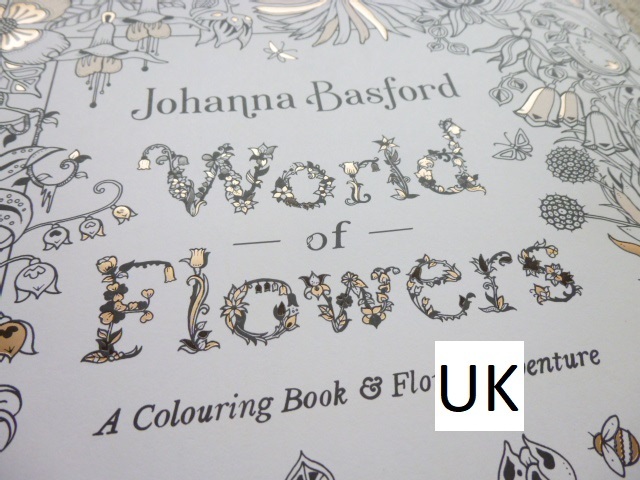 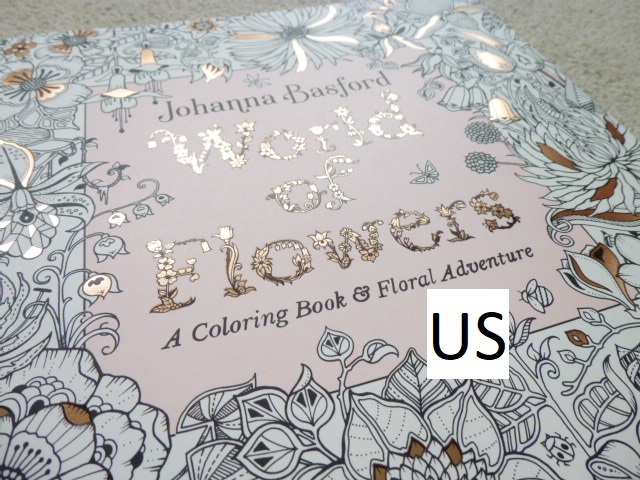 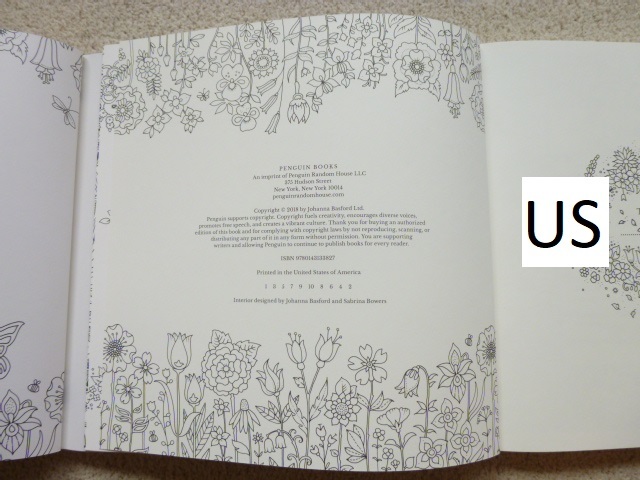 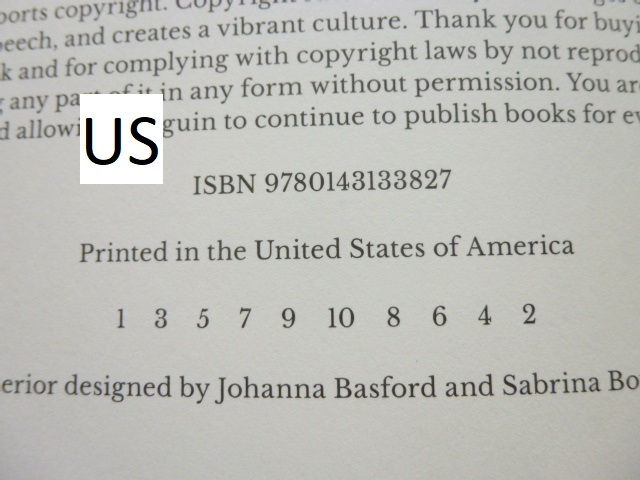 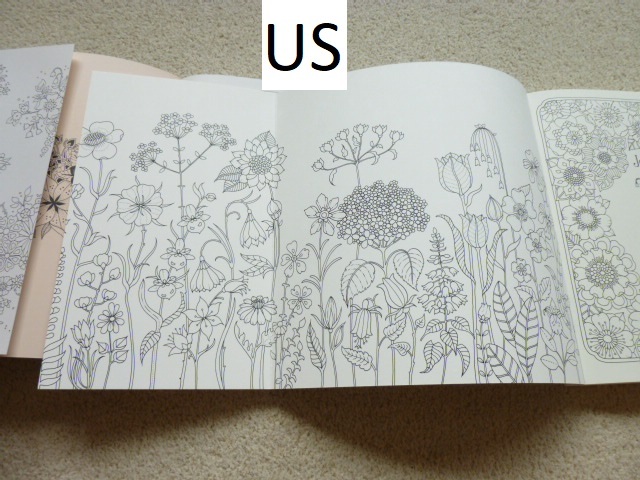 I would highly recommend this colouring planner to fans of Johanna’s work and to those who love to be organised. 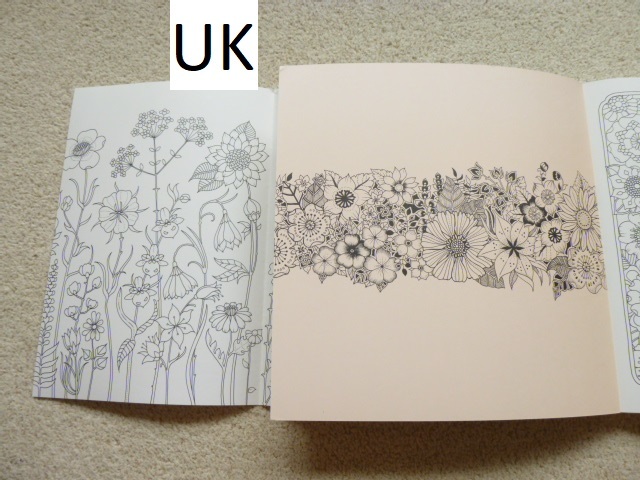 It’s a great combination of planner and colouring pages and the size and format is ideal for those who find the full-size book pages too daunting. 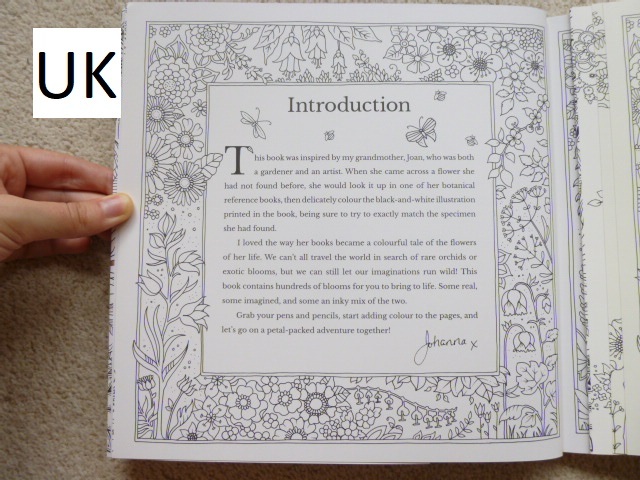 It’s great for practising colour schemes or using new colouring mediums and it’ll be a lovely keepsake to work through from beginning to end and see how you’ve progressed over the 16 months it runs for; you can even remove the images afterwards and frame or gift them. 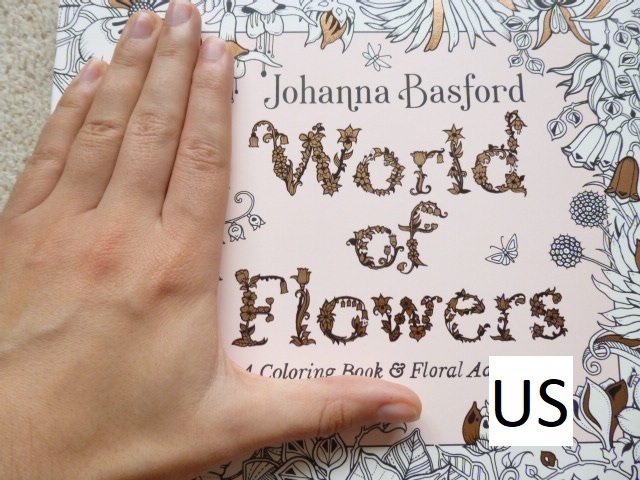 Can’t get enough of Johanna’s illustrations and the ability to organise your life? 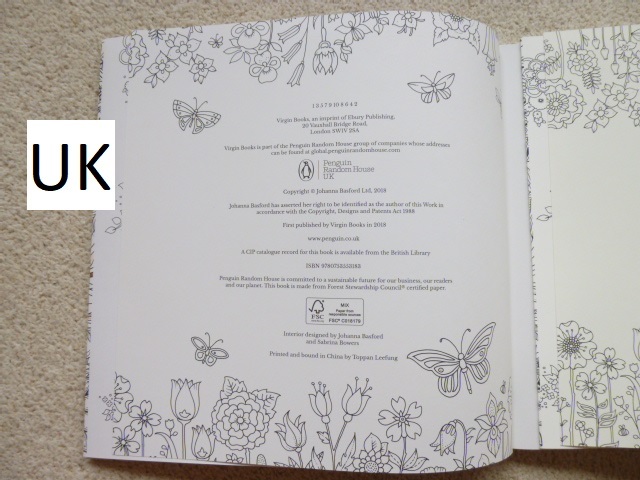 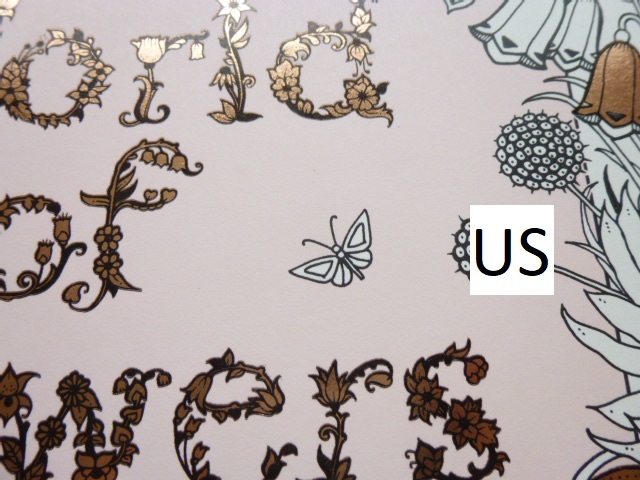 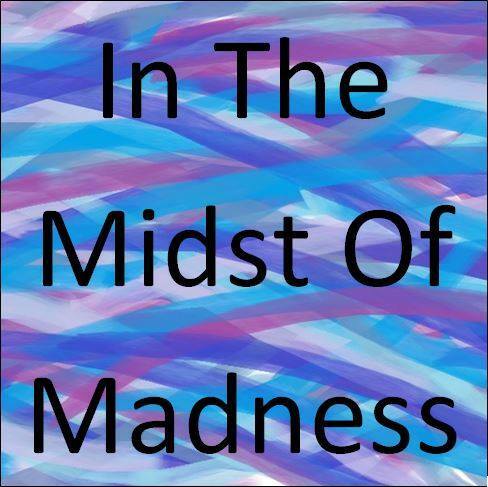 Then check out the following reviews for the Ivy and the Inky Butterfly 2019 Wall Calendar and the 2019 Page-a-Day Calendar. 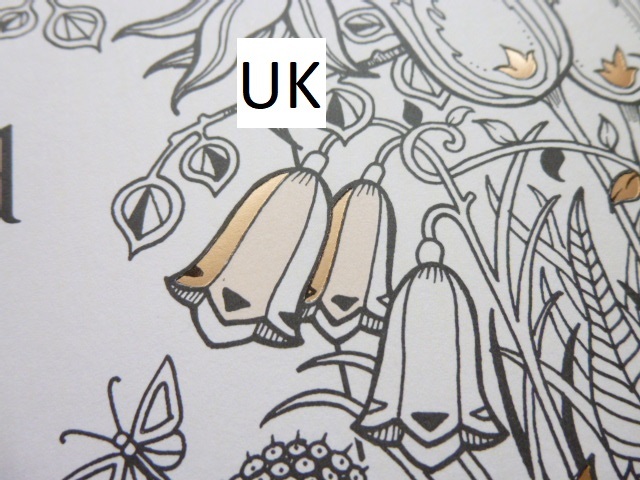 The image below was coloured using Caran d’Ache Luminance Pencils and a Caran d’Ache Blender Pencil.